Annie Warren’s trip to Cambodia is part of our efforts to support and encourage young Australians in study, careers and volunteering in international agricultural research, our Crawford in NSW International Agricultural Student Awards will be supporting 14 Australian tertiary students to gain international agricultural research experience and expertise. 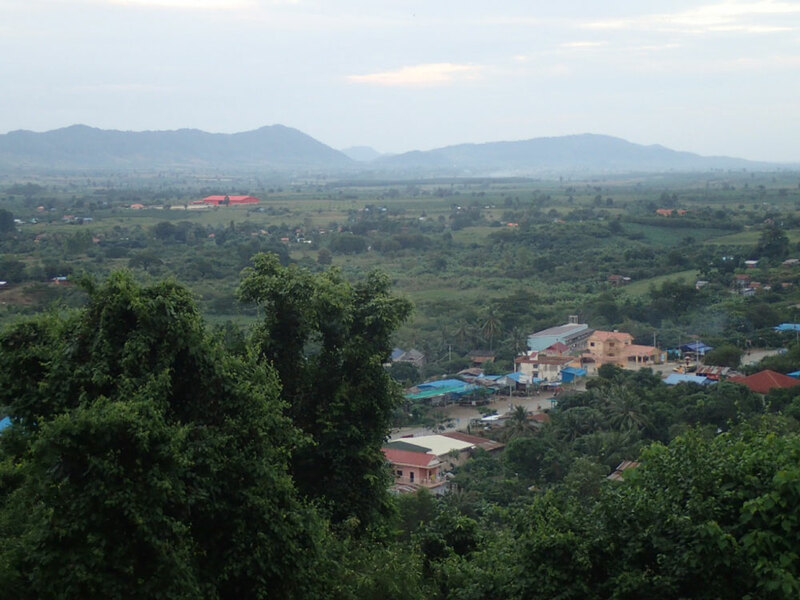 The city of Pailin, Cambodia – Annie’s home for 2 weeks. In November 2017 I travelled to Cambodia to be involved in the ACIAR project, Uptake of agricultural technologies and best practices amongst farmers in Battambang and Pailin provinces, Cambodia. This project aims to engage farmers in north-west Cambodia to enable them to identify potential improvements and alternatives to current cassava production practices leading to improved long-term sustainability of smallholder farmers. Since 2004, cassava production has increased rapidly in Cambodia and has played an important role in providing income to smallholder farmers in north­-west Cambodia. However, current practices result in high erosion and nutrient loss. In addition, the price received by farmers for the crop has fallen considerably in recent years, resulting in poor gross margins. As a result, the long term environmental and economic sustainability of cassava production practices is questionable. Travelling to Cambodia gave me the opportunity to complete field work on the ACIAR project’s established cassava trials investigating, (a) different planting methods and land preparation strategies, and (b) intercropping with the legumes peanut and mung bean. Over two weeks I worked with the local agronomist from the Pailin Department of Agriculture (PDA) to complete infiltration and sediment loss measurements. I also took the opportunity to attend a field day one Friday morning run by the PDA which focussed on assisting farmers to manage snails in vegetable crops. In addition, I worked on academic skills with a Cambodian project member who plans to apply to complete a Master’s degree embedded in the project. Spending two weeks living in Pailin was a fantastic opportunity to learn about Cambodian culture and cross-cultural communication in a town that sees few westerners. I certainly had to learn basic Khmer quickly and develop some miming skills! While my limited Khmer language skills were a communication barrier, I also found understanding culture and the way people communicate just as important when speaking in English. For example, when I was explaining something, it is normal for Cambodian people to say ‘yes’ throughout even if they did not understand or follow, as a sign of respect. This meant I needed to use other cues to determine if I had effectively communicated my point. I found many of the challenges of research in Cambodia were similar to those faced by agricultural researchers in Australia, although the form they take is different. The location of the field trials meant accessing some equipment and materials was difficult, and problem solving required some creativity- like using a clipboard clip to replace a broken clip on the infiltrometer until we could find something in the marketplace. Weather also presented a challenge during my stay in Cambodia, with the wet season extending three weeks longer than usual- which meant we got used to getting wet!